"From the reclaimed distillery floors to the custom-built stills to the handcrafted rum recipes, we’ve built Muddy River Distillery from the ground up. " Our story starts the way it does for most entrepreneurial leaps of faith: we left jobs that were unfulfilling to follow our passion. Our passion is distilling rum. Our early days of research and development triggered an obsession to create a fine spirit that we were proud of, and one that others would enjoy. Once we nailed down our first recipe, we knew we were on to something. All that was left was finding a way to bring it to the masses. In 2011, after buying 500 square feet of space in an old textile mill that we found on Craigslist (seriously), we opened the first rum distillery in North Carolina roughly 50 yards from the “muddy” Catawba River, which gave Muddy River Distillery its name. 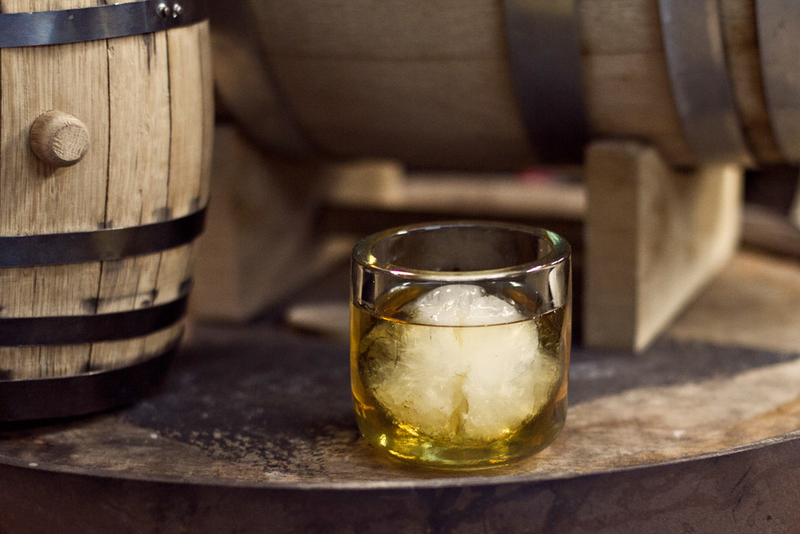 Soon, by working on the weekends, we were producing 35 bottles of rum a day. We were pretty proud of that. However, by 2013 our little pet project had grown by leaps and bounds. This is when we were forced to make the daring transition from our day jobs to a full-time dynamic distilling duo. 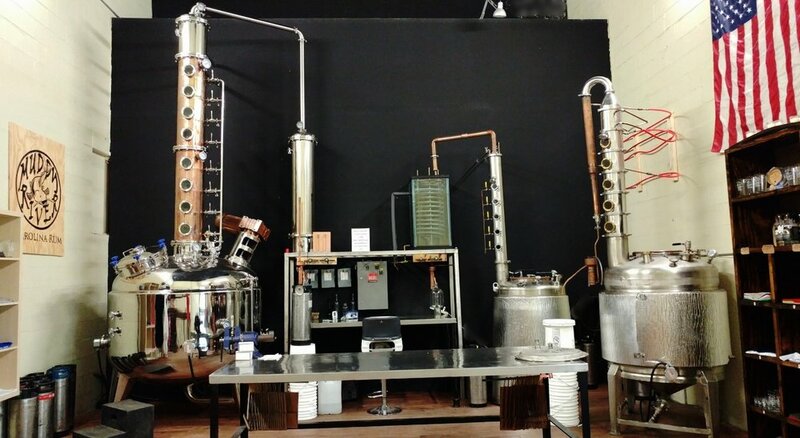 Muddy River Distillery renovated a previously unusable 6,100-square-foot space in the same mill and designed two new cutting-edge stills called Liberty and Democracy. In 2017 we added our newest addition, a 450 gallon still named Independence. From the reclaimed distillery floors to the custom-built stills to the handcrafted rum recipes, we’ve built Muddy River Distillery from the ground up. Without the help of our friends and family this wouldn’t have been possible. There are no investors, no trust funds, no sugar daddies. Still, our greatest point of pride is the superior quality of our product, which we believe is the best damn rum you’ll ever taste. Muddy River Distillery's founder. Robbie grew up on a farm in Wake Forest NC and graduated from ECU with a bachelors degree in Construction Management. He started the company while traveling back and forth from NC and Texas and became a full time employee in May 2013. Robbie's main role in the distillery is fermentation and distillation. Muddy River Distillery's co-founder head taste tester and accountant. Caroline is a Gastonia native and graduated from NC State with a bachelors degree in Accounting. She has been working for the distillery full time since 2013. Her biggest role at the distillery is to give the final approval on the distillate before it goes into our products. Democracy is a custom built hybrid reflux column still. We designed and built this machine in house and it takes a lot of the credit for why our products have such a unique taste. This still has 5 plates and distills to around 90% alcohol. The distillation process takes 1 long day and we collect only the best of the hearts for our products. Liberty is our 3rd production still at 200 gallons. Most of the build for this machine was completed in house. Independence is our 4th and largest still. With a 450 gallon capacity, Independence more than doubled our capacity. We start by fermenting the best American ingredients. Once fermentation is complete, we distill in our custom built hybrid reflux column stills. Distillation takes a full day and produces around 300 bottles a day. Check out the videos below of our bottling process.